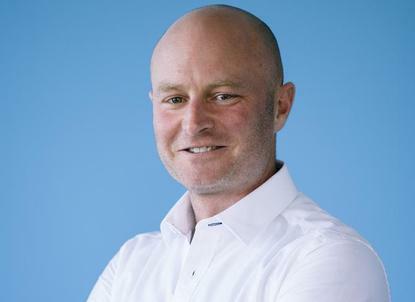 Ben Sharp, former AdRoll managing director, and managing director of ADMA for just two weeks, has been appointed the head of revenue and operations A/NZ at online research and digital advertising operation, Pureprofile. Sharp replaced Jodie Sangster at the helm of ADMA before resigning two weeks later in May. The news comes as former ADMA director of communications and customer experience and experienced marketer, Katherine Raskob, has taken up the CEO reins at the Fundraising Institute of Australia (FIA). This month, Stephen Porges was named CEO of The Australian Alliance for Data Leadership (AADL). Associations within the AADL network associations include: Association for Data-driven Marketing & Advertising (ADMA), Institute for Analytics Professionals Australia (IAPA), Data Governance Australia (DGA); and Digital + Technology Collective. ADMA has yet to appoint a replacement managing director. Sharp boasts more than 20 years in the media sphere, working for Allure Media, Yahoo7! And Yahoo A/NZ. He was the local managing director of AdRoll, which shut down the bulk of its operations in Australia late last year as part of a global realignment of the adtech business. In his new role at Pureprofile, which commences July 24, Sharp will oversee the sales process from business development to delivery. The ASX announcement also revealed the return of non-executive chairman Andrew Edwards, EJ Guren as head of marketing and communications, and Matthew Chaplin as managing director UK/EU. “As we embark on FY2019, I am very pleased with the executive team I have been able to put together,” Pureprofile CEO, Nic Jones, said. “We have a talented and passionate team of staff here in Australia and globally. We realise there is still much to do to deliver value to our shareholders. The first step has been to have a strong, supportive team behind me. Next step: execute and deliver."